Paris - Germany overturned a first-half deficit to begin 2013 with a satisfying 2-1 win over France, their first in Paris for 78 years. Sloppy defending allowed Mathieu Valbuena to head the hosts in front just before the break, but second-half goals from Thomas Müller and Sami Khedira won it for an experimental German side, who played without a recognised number No9 for the final half-hour. In light of a spate of withdrawals that included Borussia Dortmund left-back Marcel Schmelzer, coach Joachim Löw raised a few eyebrows by deploying FC Schalke 04’s Benedikt Höwedes in his place, with Philipp Lahm on the opposite wing. Despite the apparent imbalance, it was a confident start from Germany and they should have been in front inside the first five minutes but for an excellent tackle by France keeper Hugo Lloris on Real Madrid midfielder Mesut Özil. Germany’s pressing was superior to that of their hosts and they were able to dominate possession for the majority of the opening period. Per Mertesacker had a glancing header tipped over by Lloris, before Özil curled an effort high and wide when more composure would have served. But the hosts were not without their opportunities, as Moussa Sissoko miscued a half-volley and Karim Benzema beat the offside trap only to shoot straight at stand-in keeper Rene Adler of Hamburger SV. It had been an entertaining first half, chiefly because of some absent-minded defending from both teams, but it was the hosts that managed to steal the lead just before the interval. A clumsy foul from Khedira allowed Benzema a strike at goal and, after his initial effort had struck the bar, Sissoko’s header was seized upon by Valbuena to nip in and nod home past a ball-watching defence. 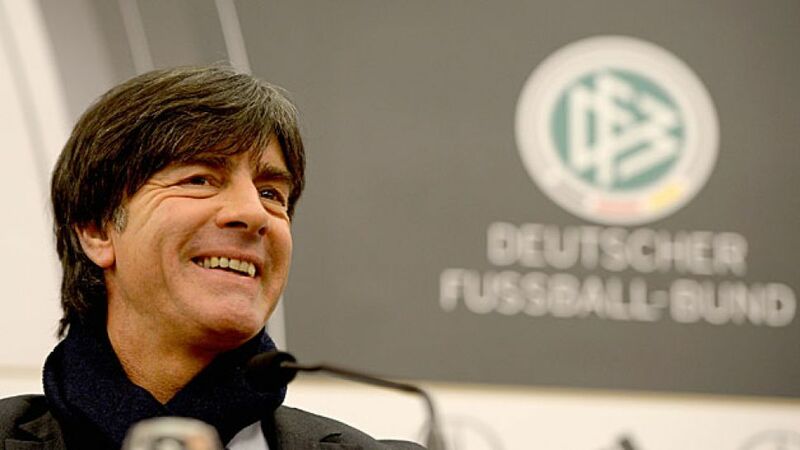 The goal will have displeased Löw, but to Germany’s credit they showed a positive reaction, and an energetic opening to the second half soon led to an equaliser. Dortmund’s Ilkay Gündogan was the architect, capitalising on an errant pass from Etienne Capoue and releasing Müller, who rescued a poor first touch to fire a cool finish high past Lloris. Löw made his first changes either side of the hour mark, replacing the ineffectual Mario Gomez with Toni Kroos and Lukas Podolski with Andre Schürrle. With no recognised strikers on the pitch, the changes encouraged more patience in possession from die Nationalmannschaft, but it was France that were creating the better opportunities, as Valbuena curled off-target and FC Bayern Munich’s Franck Ribery prodded wide at the near post. France were well on top, but it was a moment of inspiration from Germany that showed both their quality and their fluidity in attack. Khedira played a short pass to Özil and continued his run, whereupon his club-mate’s sensational reverse pass freed him in the box to angle a classy finish into the corner. It came against the run of play, but it knocked the hosts out of their stride and Germany were able to see out what was an impressive victory in relative comfort.